Bristol is an incredible place to live all year round but the city really comes alive in the summer. As well as soaking up the rays in one of the many glorious parks, Bristol plays host to tons of incredible outdoors and indoors festivals throughout the summer months. In fact, we love Bristol festival season so much we thought we’d put together this handy guide for you (and with so many festivals to choose from we decided to do it in two parts – here’s part 1). Taking place on Durham Downs, a stone’s throw from Clifton and Westbury Park, the Bristol Foodies Festival is the UK’s biggest food festival. The festival runs for three days between the 11th and 13th May and features a delicious mixture of great bands, chefs and of course tons and tons of mouthwatering food stalls and a market area where you can buy locally sourced produce. Bands on at this year’s festival include Toploader, Dodgy and The Hoosiers. You can also meet the chefs, with 2017 Great British Bakeoff finalist Stephen Carter doing some live baking and Michelin starred chefs Josh Eggleton (The Pony & Trap) and Robert Potter (The Manor House) offering up some pearls of wisdom. Day tickets for adults are £24 with concessions for over 60’s, children and young adults. All-session tickets which get you in on every day are £55 for an adult ticket. Vegfest Bristol takes place at Ashton Gate this year, home to Bristol City football and at the heart of vibrant South Bristol. Guests at this year’s event include ‘free-from’ pastry chef, Daniele Maupertuis, Vegan biologist Mick Walker and vegan champion boxer Omowale Adewale with Bristol-based house DJ Mikee Freedom providing the tunes. The festival will again challenge perceptions of veganism and vegan food with a huge assortment of food, restaurants, talks and classes on offer. Meat eaters are most welcome to come along to sample some of the delicious animal-free cuisines on offer. The festival runs from May 26-27th and tickets are £27.50 for adults and £5.50 for kids (inc 10% booking fee). Another must do in Bristol’s festival calendar, Bristol’s comedy garden once again parks itself in glorious Queen Square, between 6-10th June. Just a short walk from the city centre, King Street and Welsh Back, the location couldn’t be better to play host to some of the UK’s funniest men and women doing their thing. And what a line up it is this year, with Alan Davies, Adam Buxton, Josh Widdicombe and Milton Jones headlining. Acts are already selling out so best to grab your tickets soon for this one. Tickets range from £20-£25 with the Saturday line up split into three separate shows. It’s back! After a four year hiatus, and celebrating fifty years since its first outing in 1968, the legendary St Paul’s Carnival is back. 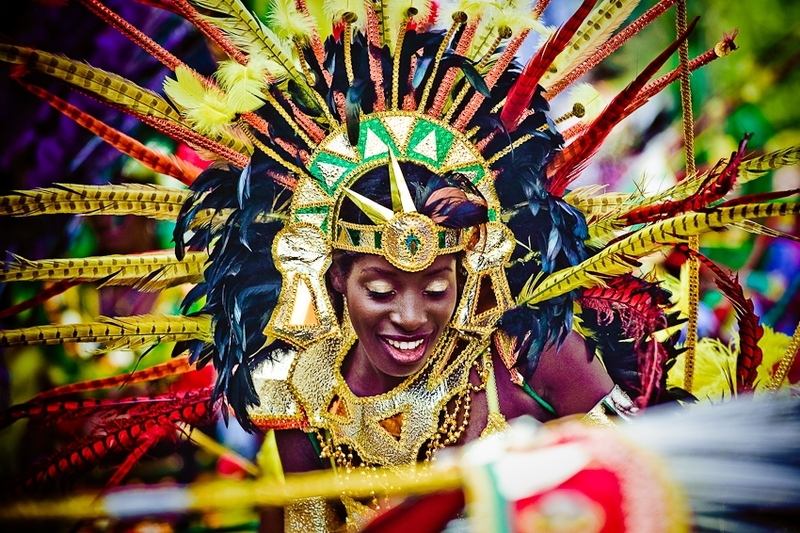 Almost as old as London’s Notting Hill Carnival, St Paul’s carnival showcases the best of Afro Caribbean culture, in the form of food music and dance. The carnival features a whopping 17 different sound systems this year, but expect the usual show of homegrown set-ups as enthusiastic residents drag their PAs into their front gardens to entertain the masses. The carnival is free and takes place on July 7th from the afternoon until late. Bristol Harbour Festival remains the city’s most popular festival, attracting over a million visitors as it runs between 20-22nd July across the city centre, from Queen Square to the Harbourside and Amphitheatre. Music, dance, maritime events and a circus zone, are just a few of the wonderful sights and sounds on offer. Acts have yet to be announced but keep checking the website for the latest announcements. The festival is free. I thought I’d end part one of our Bristol festival guide with perhaps Bristol’s most iconic event and that’s the International Balloon Fiesta. What’s so great about the Balloon Fiesta is that whether you’ve attended or not, you’ll probably know it’s on if you’re out and about due to the hundreds of hot air balloons above your head. Being such a hilly city, Bristol also has a huge number of perfect spots to watch the balloons take off from Ashton Court Estate, with Victoria Park, Perrett Park, Bedminster Down and Durham Downs being some of the best. Of course, none of this compares to actually watching 130 of these huge flying contraptions take off from the ground (and don’t forget the nightglow). The event runs from Thursday 9th to Sunday 12th August. Entry to the event is free and there is parking but expect long queues as this is a hugely popular event. If you can, then I’d recommend walking in. Also keep an eye on the weather, as if it’s windy or rainy, then the balloons will likely remain grounded.